Before discussing the cost of health care, we must establish the nature of the duty to provide it. According to Jewish law, there is a clear obligation to try to heal, and this duty devolves upon both the physician and the society. This, theologically, is somewhat surprising. After all, since God proclaims in the Bible that He will inflict illness as punishment for sin and since, conversely, God announces Himself as our healer, one might think that medicine is an improper human intervention in God’s decision to cause and to cure illness. 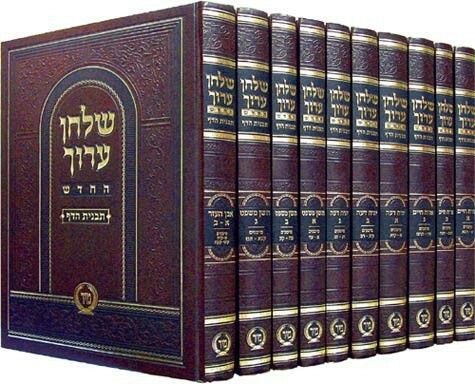 The Talmud understands the Exodus verse as giving “permission for the physician to cure.” On the basis of an extra letter in the Hebrew text of the Deuteronomy passage, the Talmud declares that that verse includes the obligation to restore another person’s body as well as his or her property, and hence there is an obligation to come to the aid of someone in a life-threatening situation. On the basis of Leviticus 19:16, “Nor shall you stand idly by the blood of your fellow,” the Talmud expands the obligation to provide medical aid to encompass expenditure of financial resources for this purpose (B. Bava Kamma 85a; Sanhedrin 73a). 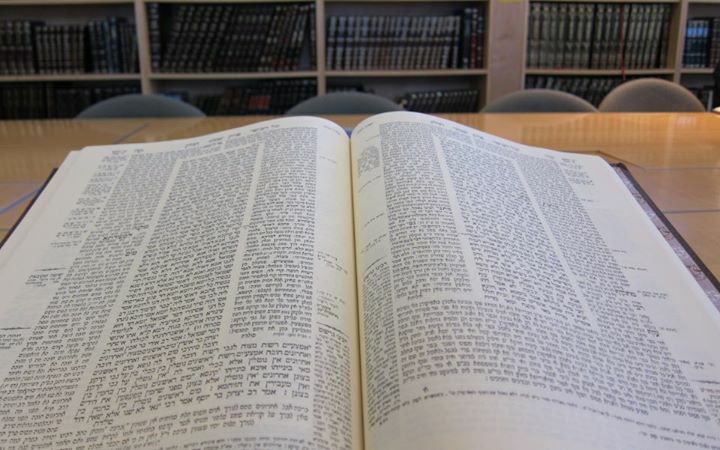 The Torah gave permission to the physician to heal; moreover, this is a religious precept and is included in the category of saving life, and if the physician withholds his services, it is considered as shedding blood (S.A. Yoreh De’ah 336:1). (Nahmanides 1963, vol. 2, p. 43, in Hebrew). (Rabbi Eliezer Fleckeles, Teshuvah Meahavah , III, on S.A. Yoreh De’ah 336). (S.A. Yoreh De’ah 249:16, 255:2). Reliance on the generosity and ethical sensitivity of physicians for the care of the poor was the norm, but there were cases where Jewish communities organized medical care in a form of socialized medicine. In medieval Spain, for example, Jews played a prominent role in the state’s program of socialized medicine, and in other places Jewish communities on their own hired surgeons, physicians, nurses, and midwives among their staff of salaried servants (Cf. Baron 1942, vol. II, pp. 115, 329). Whatever the arrangement, the community as well as individual doctors were under the obligation to heal, an obligation that was taken very seriously. In our own day, these questions no longer affect the poor alone. Most people simply cannot pay for some of the new procedures, no matter how much money they have or can borrow. The size of the problem makes even conscientious and morally sensitive physicians think that any individual effort on their part to resolve this issue is useless. Moreover, the costs that they themselves have assumed in gaining a modern medical education must somehow be repaid–to say nothing of malpractice insurance, overhead for their offices and for the hospitals in which they practice, salaries for staff, and the like. The question of paying for medical care in our society therefore becomes a critical issue. 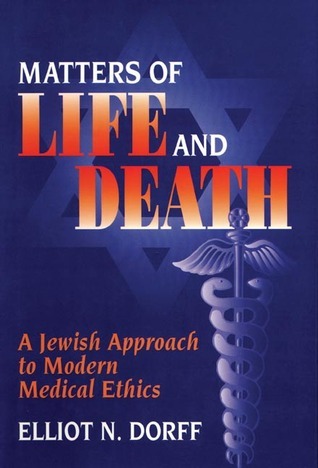 The Jewish principles enunciated above–namely, that each of us individually and collectively has a responsibility to cure and that, conversely, society has the duty to balance this obligation with the other services that it must provide–are important guidelines for the ongoing discussion in the United States on the cost of medical care. Other sources that inform the Jewish view of the provision of health care do not come directly from the world of health care, but rather from Jewish law on redeeming captives from captivity, saving people from drowning, and on providing for the poor. That is because until this century, medicine could do very little to restore health and save people from dying, but rescuing a person from captivity, drowning, or starvation and exposure were very real ways in which people could save other people’s lives. Thus the precedents relevant to the current issues of the cost of health care come from all of these areas. According to the Shulhan Arukh, withholding medical care is akin to murdering someone, and physicians have a primary duty to provide medical care. Thus, systems of managing care that discourage doctors from carrying out this obligation are Jewishly illegitimate, or at least suspect. Capitation, for instance, gives doctors a sum of money for each patient per year regardless of the amount of care they provide; that makes it economically disadvantageous for doctors to treat patients extensively because the more time they spend with a patient, the less they earn per patient. Such a system can only be reconciled with the fundamental Jewish duty of physicians to care for their patients if there is some way to offset this economic pressure against treating so as to guarantee that doctors will nevertheless provide good care. Modifications of the physicians’ professional code of ethics, self-regulation of hospitals and doctors in a mode similar to university accreditation, and government regulation may all be part of what is needed to spell out accepted standards of care. However the standards are established and announced, capitation would inevitably require more frequent peer review than now occurs. If such measures proved unsuccessful in counterbalancing the economic pressures of capitation so as to guarantee a reasonable level of care, Jewish principles would forbid capitation as a violation of the duty to provide medical care. percent of their income they may donate to charity… (Mishneh Torah, Laws of Gifts to the Poor 7:5; see also, S.A. Yoreh De’ah 248:1-2). I like the discussion. I’m not sure that capitation per se can be forbidden, so simply, as there are also general precepts to sustain the economic survival of a community, and to deliver basic standards of care seems to be as much of an imperative as others. We might think that as long as it does not risk its collapse, a community priority for the care funds it has at its disposal, is to care. Does that mean it needs to sink into reserves or cut other services? Critical services like self defence, security and education do not go by the wayside. Mostly I’m concerned to see capitation picked out as a “forbidden” funding mechanism and that is simply wrong. I am far more certain we would be very uncomfortable with rationing via false sense of scarcity as may often be seen practiced on the UK side of the pond inside the “free” system, or the practice of banning people from top up payments to get the care the community cannot quite afford to provide if required at a particular time. A capitation which delivers middat Sdom (the Procrustean bed being a standard budget with the guest stretched or chopped to fit) is certainly not our way. But capitation incentives are known to be a very useful way to improve healthcare for floor care – eg screening for breast cancer, which might otherwise go untested. Absent a capitation payment and targets contingent on volume delivery, that kind of individual treatment to vulnerable groups is just not delivered, especially if fees can’t be funded personally, in a system mostly dependent on fee payers. The poor can lose out if they represent extra overhead and less return than other, discretionary treatments, so a capitation fee and volume target gets an easier throughput that physicians can work with. Any good health service should mix it’s provider incentives (such as blanket unit capitation or its opposite, fee for service) to encourage care to be provided – not over provided, and not underprovided. What’s the Jewish approach to over provision? Or to under provision? What is “enough” provision if we are commanded to save life? A system-wide policy designer has the unenviable task of seeing how doctors and patients behave, whether they use all they can, or what they need, and whether some are left by the wayside. Capitation is good for delivery of a minimum set of care, and less good at dealing with supplementary needs. In pure capitation systems, a lot of the effort and anxiety then centres on how to fund very high unusual-supplemental costs, like emergency care or cancer care, usually through extra insurance or state backed funds (across Europe and eg Australia). But capitation is still very good at making sure everybody gets delivery of a planned minimum, rich or poor, sick or healthy. By contrast, in a fee for service regime, basic care delivery especially to the poor, is extremely weak and prone to “supplier induced demand” as they have seen in Australia, with overdelivery and over expenditure for the same outcomes. So, I am quite sure Jewish law would not so quickly just ban capitation, although we might insist it isn’t the sole scheme of spend, but rather, demand it provide threshold of “floor” services, and find another way to fund care beyond that basic set. With that in mind can I ask that we also try to understand the emphasis of medical treatment in Jewish thought, is it about worthy but ineffective activity, or about outcomes? What about encouraging health avoidance, where we know good diet avoids years of healthcare costs? If so, what scope is there for directing care resources so that they target funds on the right outcomes, and do we set the goal as maximising lifesaving, dealing with the chronically sick, or something else? It would be very interesting to explore the overall requirement for communal priority of funding allocation, and the ethics of outcome based planning. I would also hope the group will consider more carefully how specific types of ‘failure’ resulting from different payment schemes, as well as different types of lifesaving success, from other payment schemes, and desired mix, could work out in line with Jewish ideals. After all, we invented prozbul to ensure a viable economic life, long befor economists coined the term “market failure” and I don’t know what we might have made of modern transaction costs, but somehow I doubt 12%+ in sales costs as we see in the USA today, can be an acceptable imposition, if so, how do we run a “shuk” without getting into trouble? Does Judaism point the way to capped profits (I think it might…)?